Servicing Melbourne, Orlando, Kissimmee, Orange, Osceola, Seminole County areas here in Florida. If you live in any of these areas we will be happy to come out and evaluate your situation, offer you a solution and give you a free estimate. We give return calls usually in less than one hour. 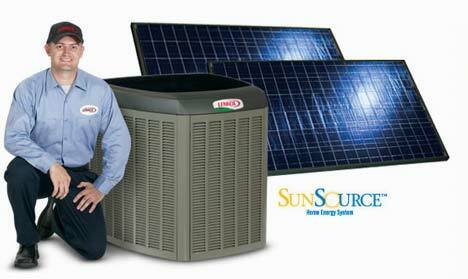 Now is the time to get a great new CARRIER, TRANE or AMANA system for less than you ever thought possible. We have had the advantage to sell most of the top brands in the business but prefer to use TRANE, MAYTAG, AMANA and CARRIER here in the Orlando, Melbourne, Palm Bay areas. We service all brands anywhere in Central Florida. All of our employees are drug tested, background researched and we have the best NATE Certified technicians in the business. Contact us for your AC needs in any of the following and surrounding Florida locations. Investing in a system that can maintain ideal humidity will greatly increase your comfort levels in the home. If humidity is too high or low, it creates an ideal atmosphere for the growth of mold, mildew, bacteria, and viruses. The ideal humidity level for a home is between 40 and 60 percent. As the humidity in your home falls below or above the 30 to 60 percent mark conditions are such that bacteria growth can occur. Here in the Central Florida area below 30 percent is not usually a problem but over 60 percent is the entire summer. An ideal humidity system controls temperature and humidity all year long. 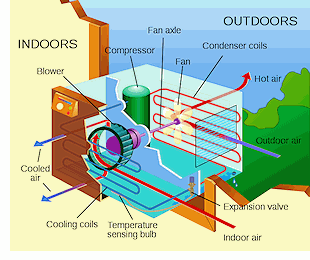 All A/C systems provide humidity control through heating or cooling operation. Only a system with a variable speed blower and a THERMIDISTAT (thermostat that controls temperature and humidity) can control humidity separate of temperature. During the cooling season which is all year here in the Orlando, Melbourne areas, high humidity allows faster growth of bacteria, viruses, dust mites, mold and mildew: it causes painted surfaces to peel and woodwork to warp, buckle and rot; it makes you feel sticky. Using a humidity control system minimizes these problems by maintaining proper humidity levels, allowing you to feel more comfortable all year long. In Florida at night humidity can build up inside your home when the system is not actively cooling. Because a standard system only dehumidifies while cooling, you wake up feeling hot and sticky. A system with humidity control will have the system run when it is not as hot just to dehumidify, so when you wake up your home will be much more comfortable. A system with a variable speed blower and a THERMIDISTAT removes 128 percent more humidity than a standard system in the summer time. Any system with a 2 stage compressor will remove 30 times the humidity than a standard system. So if you live in Florida or any other state with high humidity consider a system with humidity control, it will save you money on your power bills and create a much safer, more comfortable environment, while protecting the interior of you home. The most frequently asked questions by customers with regards to replacing their system is what brand should I choose? We have had the experience of working with all the major brands and we prefer Lennox, Maytag, Amana and Carrier. If you are looking for the highest efficiency air conditioner on the market look no further than the Maytag IQ Drive. It has a beautiful outside Stainless Steel cabinet and composite top and bottom so it is very durable in corrosive environments. The outside cabinet is the best on the market. Also the top and bottom have a silicone covering to protect against corrosion and U.V. exposure. Maytag paired up with Panasonic to offer the highest efficiency compressor in the residential world, the Japanese Rotary compressor (Panasonic is the top producer of compressors in the world). Here is how it works: Say you have a 4 ton system, when demand is highest the compressor will run at top rotation but as demand drops it has the ability to slow its rotation down all the way to what would be a 1/2 ton unit. So it has amazing ability to remove humidity and it blows all others away with its 24.50 efficiency rating. They have one of the lowest db (decibel ratings) of any air conditioner out. Maytag offers one of best extended warranties-12 year parts,12 years labor warranty and Maytag Dependability warranty that says if compressor fails during the 12 year period Maytag will give you a whole new outside condenser, installed free of charge. This is not new technology the Japanese have been using this for years. The AHRI who rates all air conditioners don't even know how to rate these units. It is speculated that by the end of the year all of their SEER ratings may rise by as much as 5 SEER on all IQ Drives. This unit does not come in 5 ton, I guess there aren't many 2500 square ft houses or larger in Japan. Be aware it is one of the most expensive units on the market. It is a lot of imported technology. Lennox is rated the quietest air conditioner on the market and the XP21 solar ready unit is one of the highest efficiency systems on the market. They make a great looking unit that holds up well in the corrosive Florida environment. The Dave Lennox Signature Series XP21 is their best heat pump it has a Copeland 2 stage compressor which is the best American made compressor available. Lennox is a great choice if you want real quality. This unit features the Silent Comfort Technology, so if sound is an issue this unit is worth checking out. Solar ready means you can add solar panels that will help feed the condenser and when the condenser is not running the solar panels can back feed the power meter, leaving you with a credit on your power bill. Lennox also offers a 12 year parts, 12 year labor warranty which is the best warranty in the business. The award winning Icomfort thermostat allows temperature and humidity control, it pulls almost 30 times more humidity out per day than a standard air conditioning system. Carrier makes a great air conditioner. Carrier Infinity System is their best model. It also features a Copeland 2 stage compressor and has a nice 10 Year No Rust -Thru Guarantee on the cabinet. They also feature the Carrier Infinity Air Cleaner which captures and kills airborne pathogens such as bacteria, viruses and mold. This whole home cleaner re-purifies indoor air as many as 8 times an hour. Carrier Infinity controller is a great thermostat that also offer humidity control. Be careful duct sizing is exact with the infinity model. You will get all kinds of warnings at the thermostat if not. The system has built in static pressure warning. It thinks the filter is dirty keeps telling you to call the service provider. Trane is considered one of the top air conditioners on the market. They are very reliable and also have an attractive, durable cabinet. The outdoor coil is made of aluminum which holds up great in corrosive environments, but all refrigerant lines are copper so you have dissimilar metals where the two meet. It was a big problem for them in the past. They coat it now hoping to slow the corrosive process. I prefer a copper outdoor coil to aluminum. Trane XL20I is Traneï¿½s top unit. It has humidity control at the touch screen thermostat. The XL 20 has two compressors instead of a two stage scroll. This means a lot of moving parts. The more moving parts the better the chance of a failure. I would recommend getting the extended warranty with this system. When one compressor goes bad you could be looking at one expensive repair bill. When one compressor goes bad Trane requires both compressors to be replaced. Amana ASZC 18 heat pump is a great option if you want high efficiency without paying as much as the elite three (Carrier, Trane, Lennox). It has a 2 stage compressor as well as a communicating board, which gives the system the ability to run self diagnostics. This unit has affordable extended warranties up to 10 years all parts, 10 years labor warranty and lifetime compressor guarantee. This unit got one of the top ratings on Consumer Reports as one of the best buys on the market. Be careful with any air conditioner install, it has to be done correctly; the air conditioner will only work well as the installation. Don't use fly by night companies, it always cost you more money in the long run. Electrolysis: Whenever different metals are placed in a conductive liquid you create a battery. If you connect pieces of metal together, current will flow. The current will be removing metal from one of the metal pieces= electrolysis. Avoid contact between metals that are farther apart on the scale. All refrigerant lines are made of copper, when you have an aluminum coil you have dissimilar metals contacting each other. One reason why I prefer Copper coils to Aluminum. For years all manufacturers have been plagued with the expensive problem of condensing coils corroding. When this happens it results in unsightly and ineffective coils and resulting in higher electric bills. Generally condensing coils are cleaned twice a year. Corrosion is a continuous process and will degrade them between cleanings. Cleaning the coils more often shortens the life of the fins and results in the need of replacement. Coil Coatings have been used but often require recoating during the life of the equipment. The condensing unit is made of Copper, Steel and Aluminum. Salt acts as an Electrolyte. Therefore the Electrolysis (Galvanic Corrosion) begins damaging your system as soon as you turn it on. The Electrolysis will only damage one metal and that is the softest or weakest metal on the system. The Corrosion Grenade is 100% Zinc and protects all metals on your air conditioning system because it is the softest or weakest metal on the Galvanic Scale and protects the metals acting as a sacrificial anode. As soon as you have attached the Corrosion Grenade you have introduced a softer metal than any other on the Galvanic Scale. This increases the life of your system and helps maintain the efficiency. Water heaters have used sacrificial anodes for years as well as boat engines used in saltwater. Here in Florida we started using Corrosion Grenades in 2006 on direct beach front properties and after two years of results we starting including them on every system change out no matter the location of the unit. The results have been nothing short of remarkable. 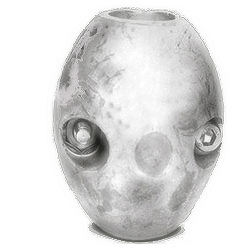 We have not had to start changing the grenades out so far but will update when it happens. You can add these to your existing air conditioner and the sooner the better. So ask your service provider to add a Corrosion Grenade to the Suction line of compressor where it usually remains wet. It is secured using stainless steel Allen bolts. This is an extremely cheap product to protect your largest investment after your home and car. Ever wonder where air conditioning originated? The term refers to the cooling and dehumidification of indoor air for comfort. The term can refer to any form of cooling, heating ventilation or disinfection that modifies the condition of air. An AC or A/C is an appliance designed to stabilize air temperature and humidity within an area mostly in buildings or automobiles. Originally developed by the Romans where aqueduct water was circulated through walls of houses to cool them. Persia later developed cisterns and wind towers to cool buildings during the hot season. Modern air conditioning emerged from advances in chemistry during the 19th century, and the first large scale electrical air conditioning was invented and used in 1902 by Willard Haviland Carrier. The Romans were known to circulate water through the walls of certain houses to cool them but it was expensive so only the rich could afford it. The 2nd century Chinese invented the rotary fan for air conditioning, it was manually powered. In 747 the Tang Dynasty had what was called a “cool hall” in the imperial palace, which had water-powered fan wheels for air conditioning. The Medieval Persians had large above ground pools to collect rain water and wind towers with windows to catch the wind and direct the airflow into the building usually over the water pools and out through a downwind cooling tower. The water evaporated cooling the air in the building. In 1820 British Scientist and inventor Michael Faraday discovered that compressing and liquefying ammonia could chill when the liquid ammonia evaporated. In 1842 Florida physician John Gorrie used compressor technology to create ice, which he used to cool air for patients in his hospital. It had its flaws but was patented in 1851 for his ice making machine. He never made any money on the invention and its idea died until 50 years later. The earliest applications for air conditioning was for industrial processing rather than for personal. In 1902 Willis Haviland Carrier in Syracuse, NY. Designed to improve manufacturing process control in a printing plant, his invention controlled not only temperature but also humidity. The cool temperatures and low humidity helped maintain consistent paper dimensions and ink alignment. Later Carrier’s technology was used to increase comfort for employees inside the work place, and The Carrier Air Conditioning Company of America was formed to meet rising demand. Carrier saw an explosion of residential sales in the 1950’s. It was actually Stuart W. Cramer of Charlotte, North Carolina who coined the term “air conditioning” while exploring ways to add moisture to his textile mill. He combined moisture with ventilation to “condition” and change the air in the factories, controlling the humidity is needed in textile plants. Willis Carrier adopted the term and incorporated it into the name of his company. Early air conditioners and refrigerators used toxic and flammable gases such as ammonia, propane and methyl chloride which was deadly if leaked. Thomas Midgley Jr. created Freon in 1928. This refrigerant was much safer for humans but not for the Earth’s Ozone Layer. Freon was trademarked by Dupont. Later R-410a was invented by Honeywell in Buffalo NY and was first used commercially by none other than Carrier. We offer both commecial and residential sales in the following and surrounding Florida areas.